It’s time to start planning the best weekend of your year!! 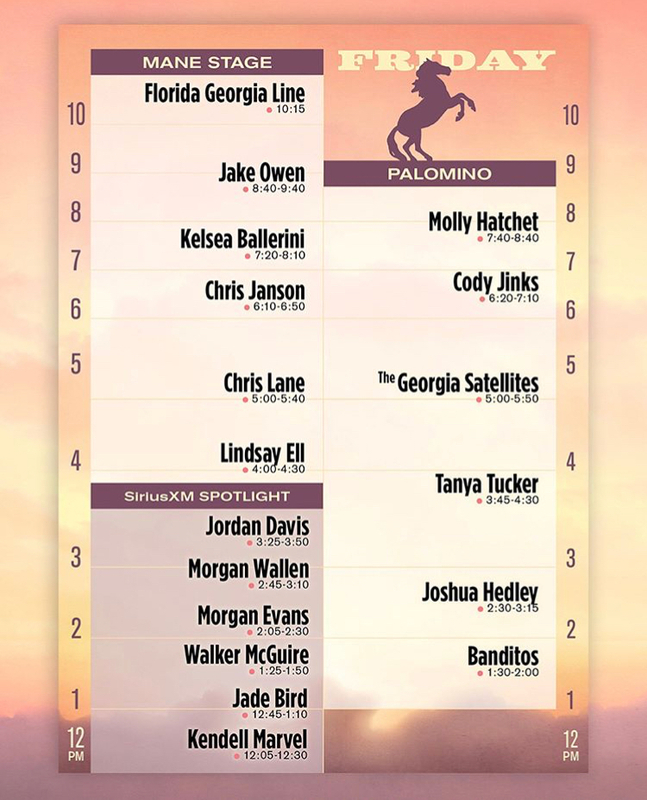 Here are set times so you can begin planning when to take in music at Palomino, discover your new favorite act at the SiriusXM Spotlight Stage or lose your mind at the mighty Mane Stage. 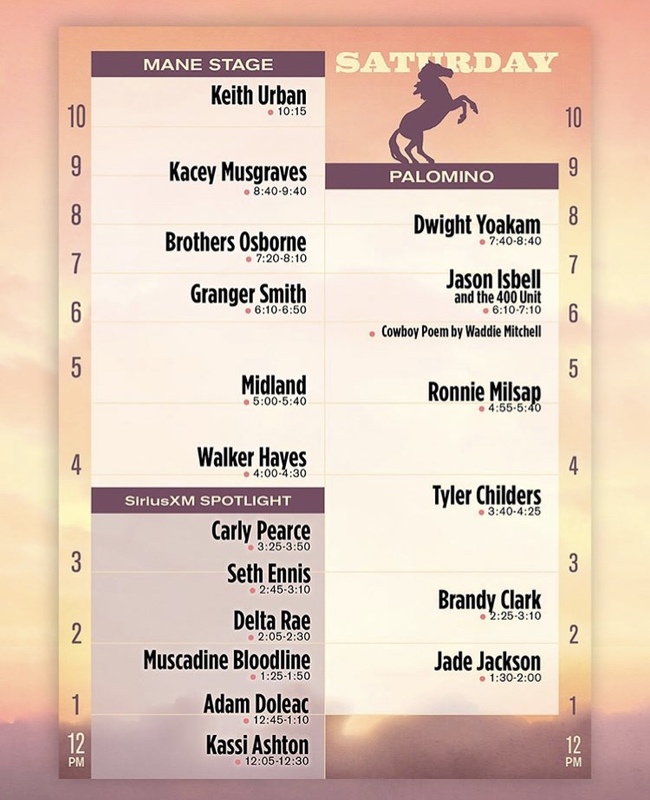 In 2018, the songs you sing, the food you crave, and the people you love take center stage as STAGECOACH returns Friday, April 27th through Sunday, April 29th for the festival’s 12th edition at the Empire Polo Club in Indio, California. Multi-platinum duo Florida Georgia Line will headline Friday of the festival to lead into four-time Grammy Award winning Keith Urban’s Saturday performance while, in a rare festival appearance, Garth Brooks will close out Sunday. 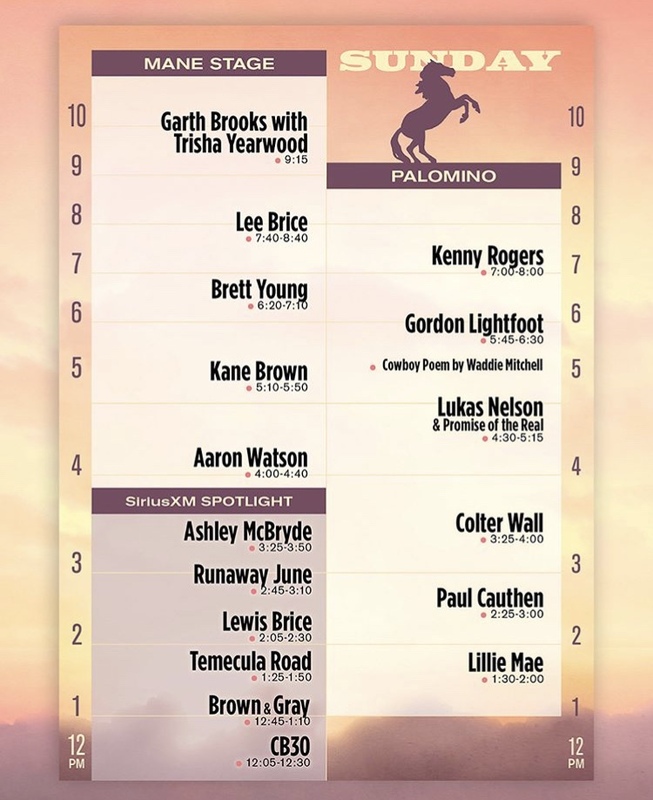 For complete festival information please visit www.stagecoachfestival.com.